In the past, baggy, saggy eyelids were treated with traditional scalpel surgery to remove excess fat, wrinkles, and skin. Deep chemical peels have also been used to remove eyelid wrinkles. While these techniques are effective, they may also result in undesirable effects including bleeding, bruising, scarring and whitening of the skin. There is a better choice. Laser eyelid surgery (also called Blepharoplasty or Bleph) uses a pulsed laser to remove excess skin, fat, and wrinkles, resulting in considerably less bleeding, bruising, post-treatment pain, and risk of scarring. No scalpel or scissor cutting is involved. The procedure is performed with mild oral sedation and local anesthesia. The Gateway Aesthetic Institute has performed thousands of these surgeries over the past 20 years. In addition to removing excess skin and fat, the laser improves wrinkles. So, if you are considering treatment for baggy or wrinkled eyelids, remember, lasers are more effective in removing eyelid wrinkles than any other method currently available. 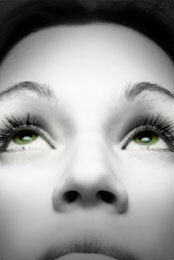 For more information on cosmetic laser eyelid surgery, give us a call at 801-595-1600. Click here to read more about laser eyelid surgery and here to see Dr. Taylor perform an actual procedure. © Copyright 2018 by Gateway Laser Center. All Rights Reserved.